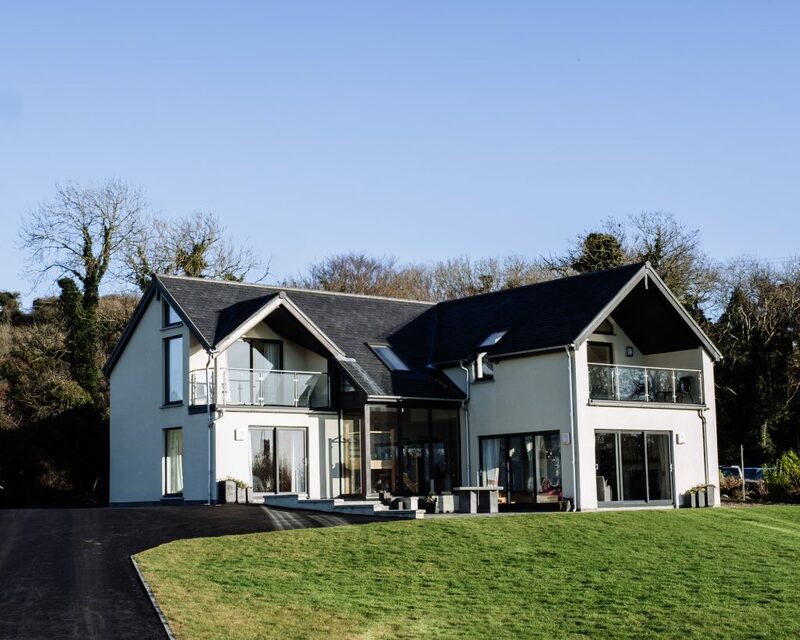 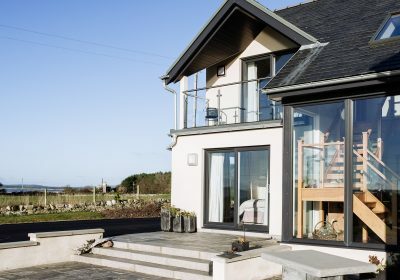 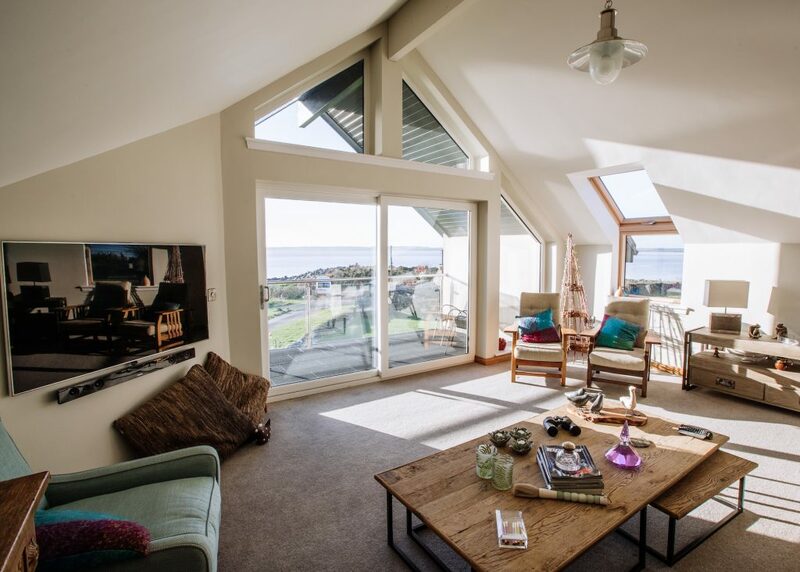 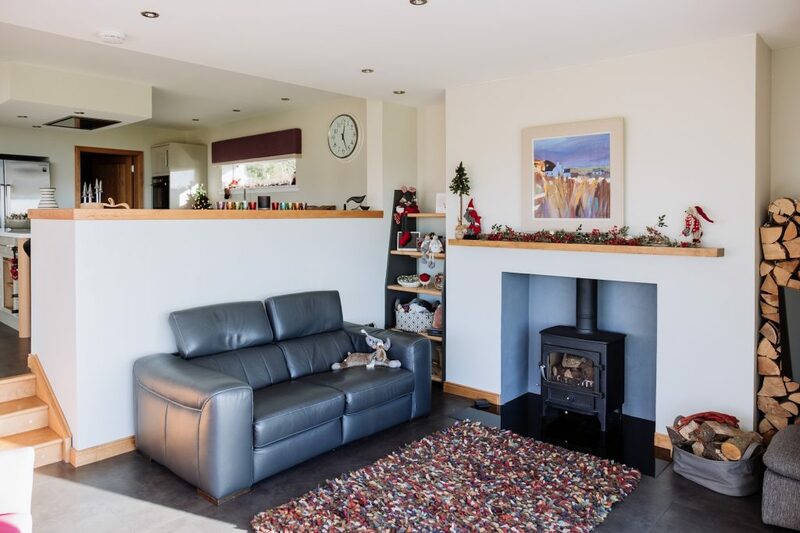 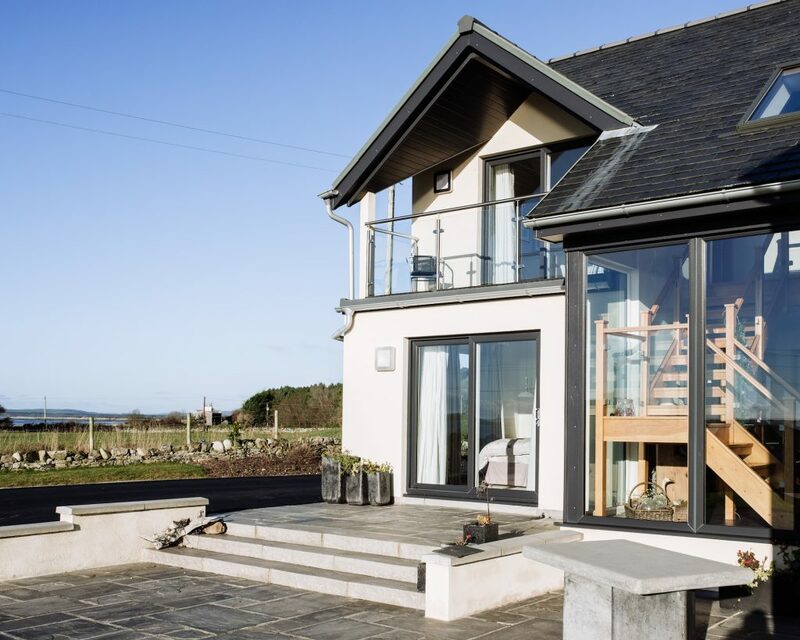 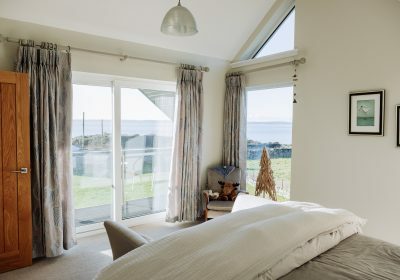 The brief was to provide a comfortable home for retirement on the outskirts of Carsluith, overlooking Wigtown Bay. 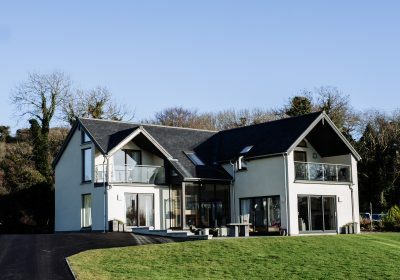 The design responds to the natural slope of the site, with living accommodation over a split level. 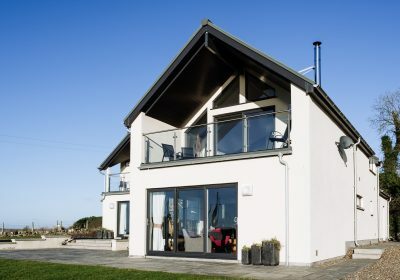 The construction combines timber frame, steel portals and glue-laminated ridge beams. 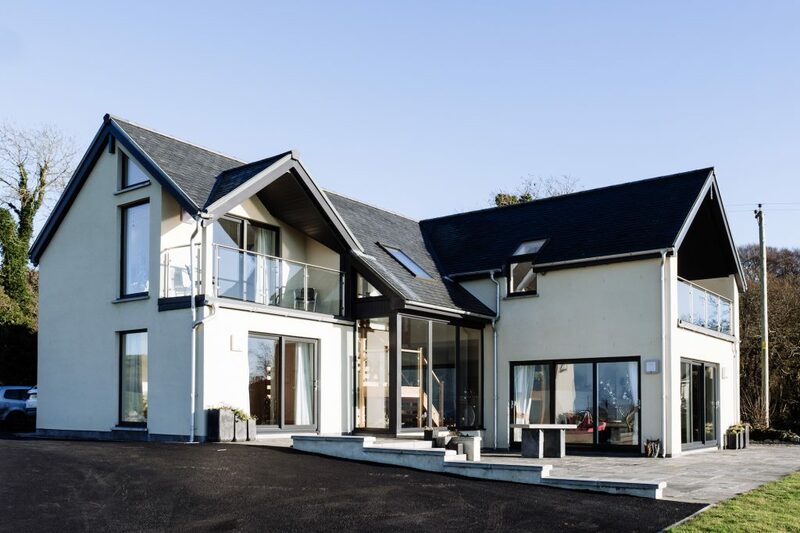 The steel portals allow for a glass gable to the front elevation with large covered outdoor terrace, which is enjoyed by an upper floor living room. 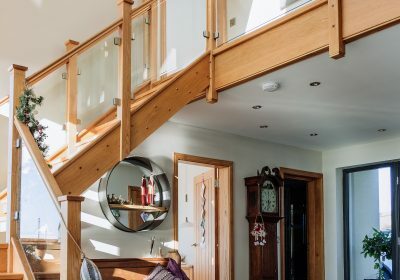 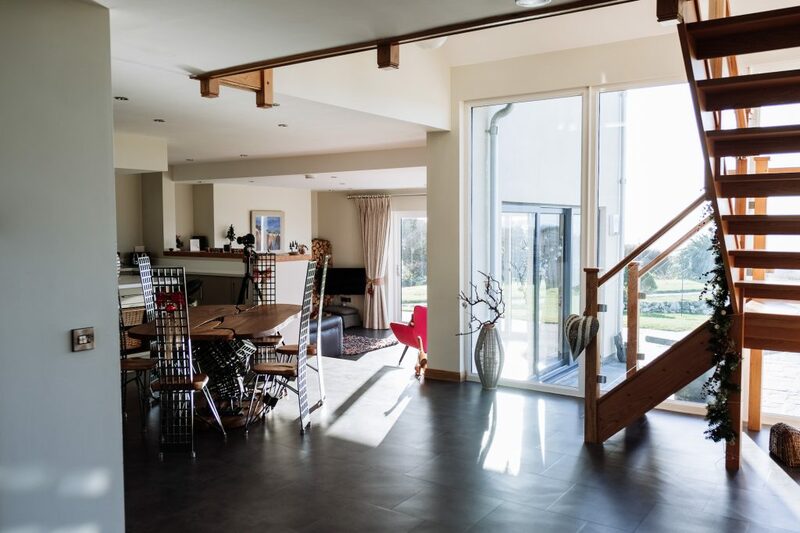 The dining area has a double height feature, with staircase leading to a mezzanine landing over-looking this area. 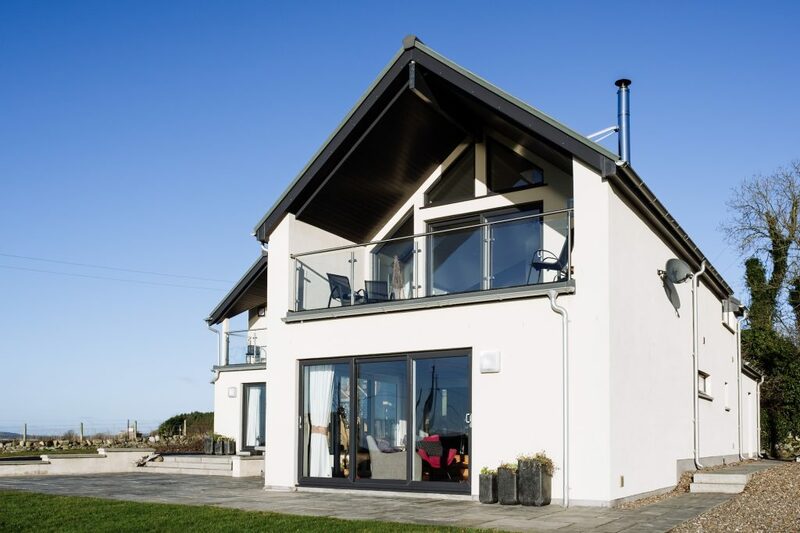 A garage to the rear allows the parking and entrance to have privacy and shelter from the prevailing wind. 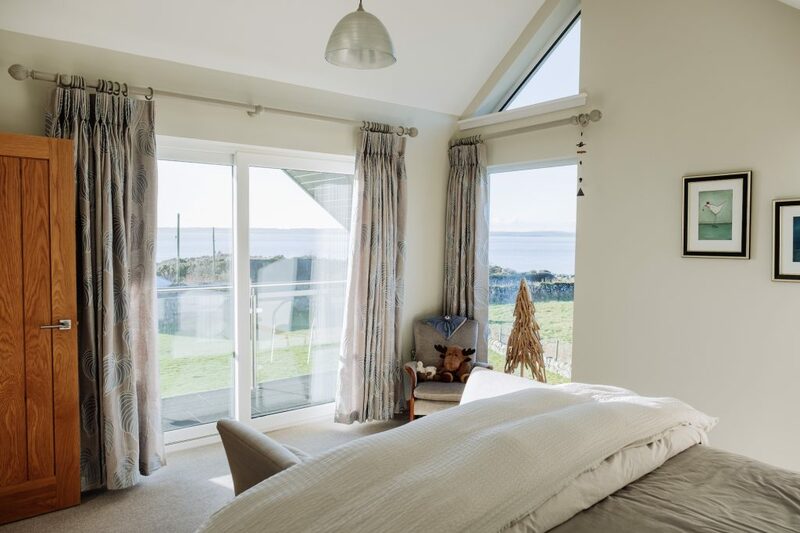 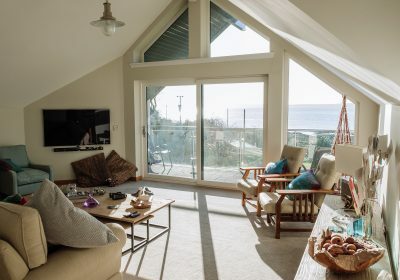 A second glazed balcony at first floor allows the master bedroom to take advantage of the bay views. 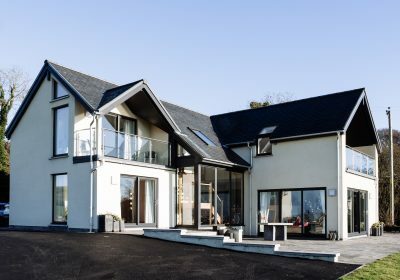 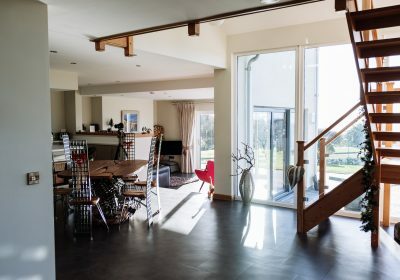 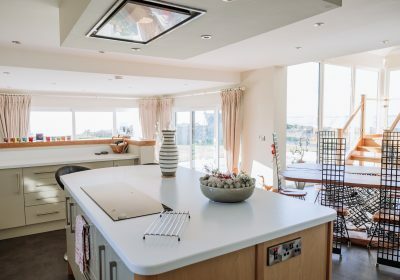 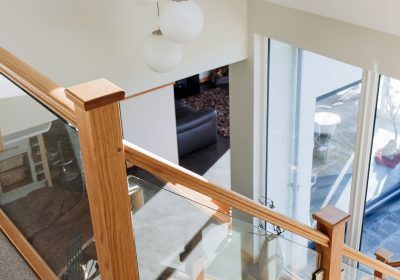 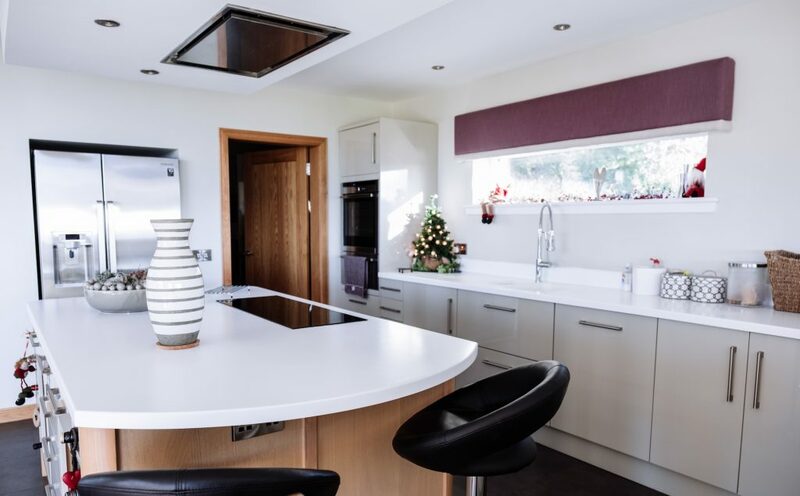 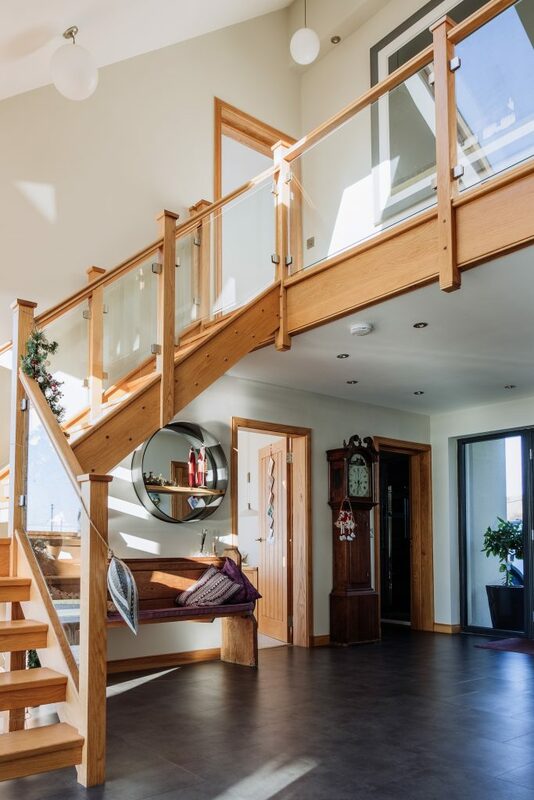 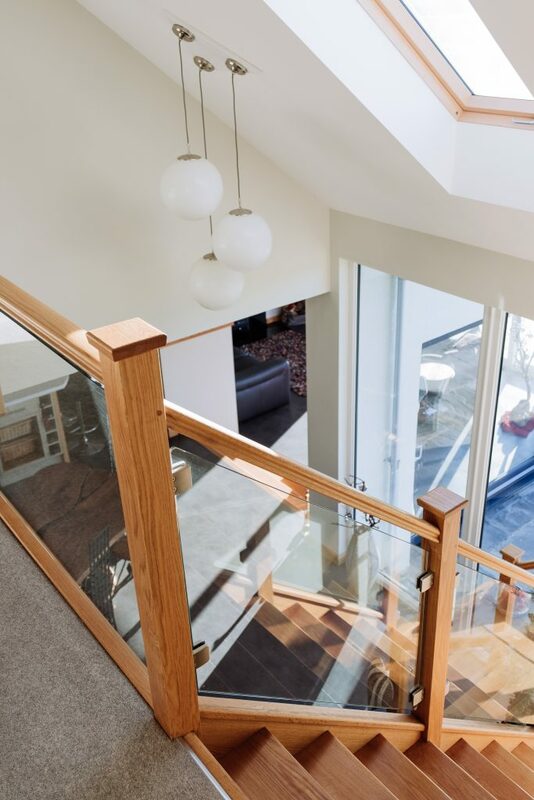 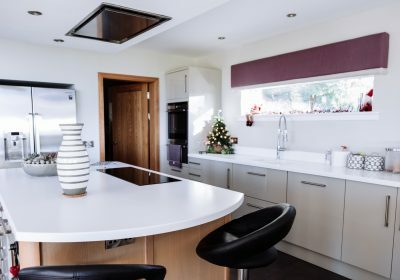 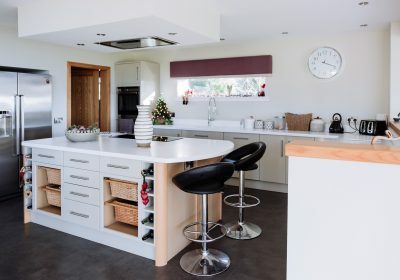 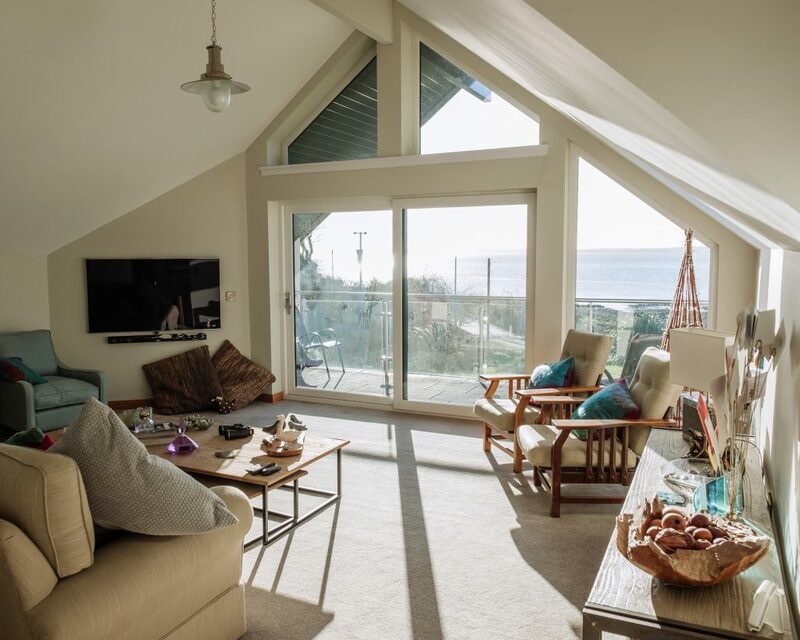 Energy consumption is kept to a minimum by the use of an air source heat pump (with underfloor heating throughout), high levels of insulation and minimising air infiltration throughout.